Whether you’ve just completed a renovation project or are about to undertake some decorating, or just fancy something new for a change, it’s easy to overlook those finishing touches that can complete your interior look. 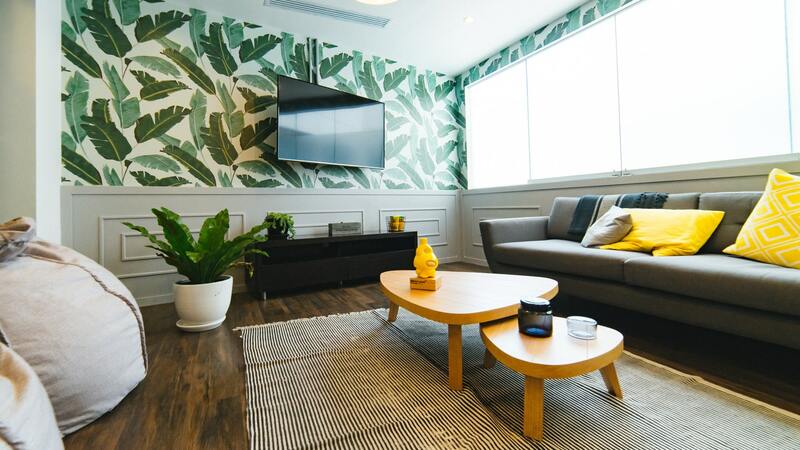 Whether it’s a piece of furniture or some well thought out lighting, here are some finishing touches ideas to complete the look of your living area. A well-placed rug can really tie a living room scheme together. Whether you use it as a canvas to let the other colours in your scheme shine or to complement them. A rug with texture and pattern not only feels wonderful but also completes the look. There’s a comprehensive selection of beautifully made rugs available at La Redoute, including this Berber style 100% wool hand-woven rug. A statement lamp will not only shed some light in your room, but a dramatic curve or dome shade can truly become the focal point of any space. An arc lamp is a design staple. It doesn’t take up much floor space, can become a huge feature of your living room. This gold arc lamp is the perfect finishing addition to your living room. An often overlooked item, a footstool is useful and practical. Upholstered in either matching or complementary fabric to your sofas and chairs, it will take up minimal space while delivering maximum comfort. With various options available, including storage options, the footstools by Arlo & Jacob are smart and elegant and come in a range of sizes. If you have the space, then a designer-style coffee table is a must-have living room piece. Practical and functional, it helps make the space social and encourage people to gather around it. Use it to display flowers, books, vases and ornaments; it’s a fantastic finishing touch. Of course, there are a multitude of ways you could go with your coffee table design; whether you opt for something sculptural and marble like this version from Sweetpea & Willow, or something more robust and rustic like this wooden option from Barker & Stonehouse. Something many people’s living rooms are lacking is ample storage, which can be rectified in one swift move with a contemporary and sleek storage unit. Hide away all the clutter and your room will instantly feel transformed. This smart and elegant dresser by Next has a touch of mid-century charm about it while looking modern and contemporary. The detail to the doors, brass handles and feet give it a glamorous finish.